Slim and light yet strong. 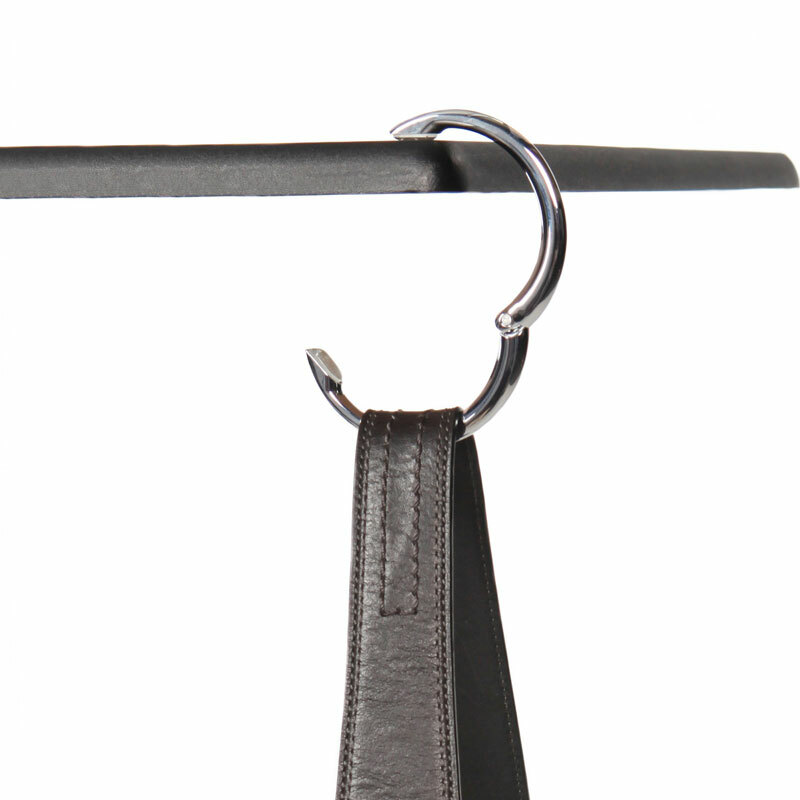 Why settle for flimsy purse hangers? The Clipa is made to hold today’s heavier handbags. 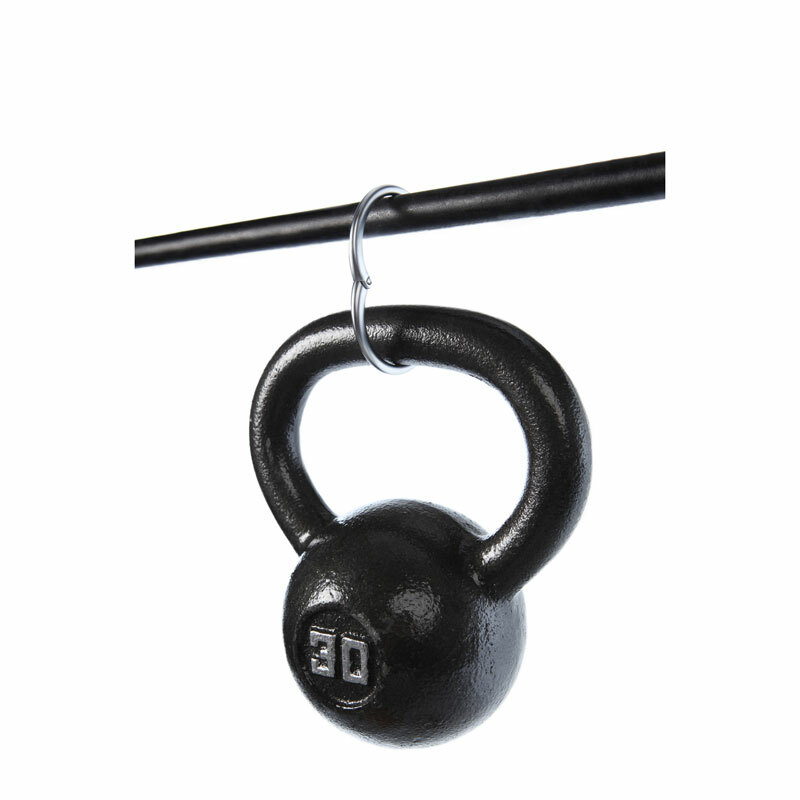 It safely supports up to 33 lbs. and has been tested to last for 10 years. 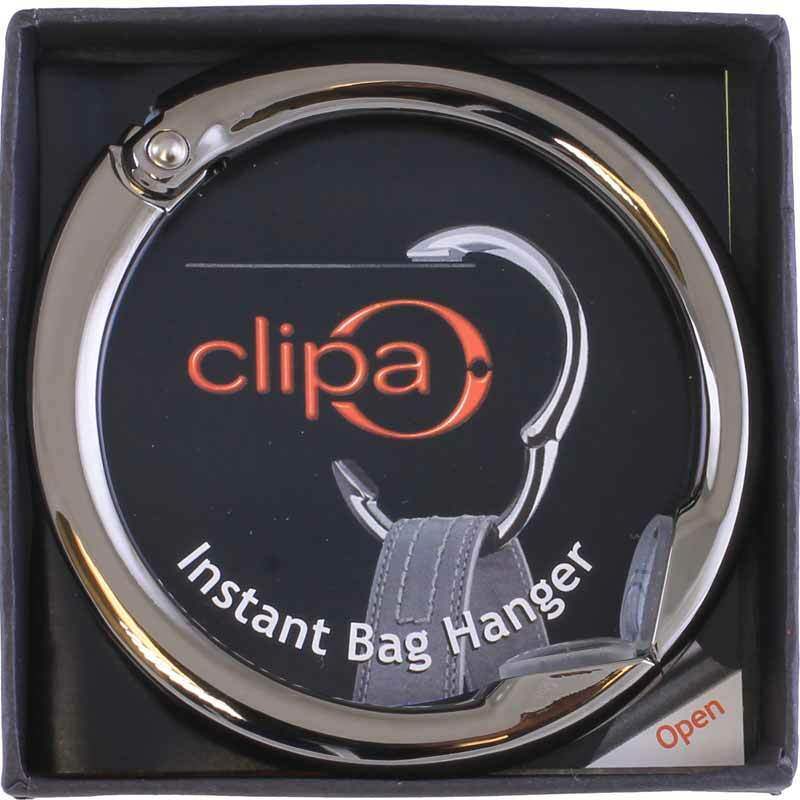 The Clipa is a strong, circular purse hanger that goes on the bag’s strap for quick use. Simply open either cushioned end and hang the bag. 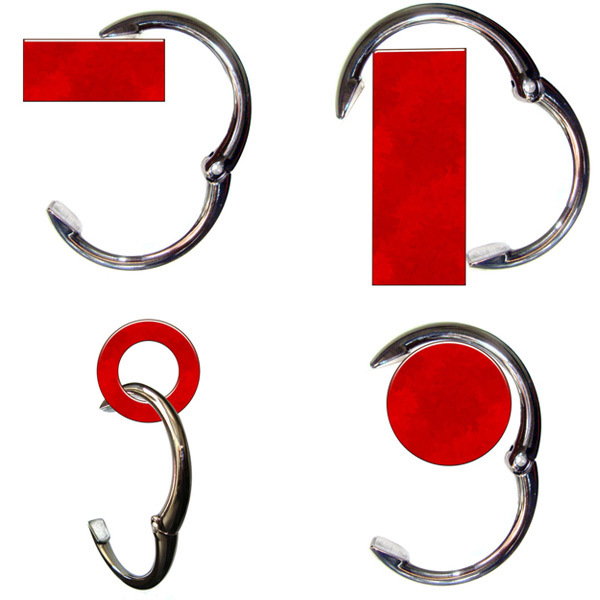 When you’re done, pull the strap and Clipa slides back, closing with an audible click. Clipa opens extra-wide, so it works in many more places. 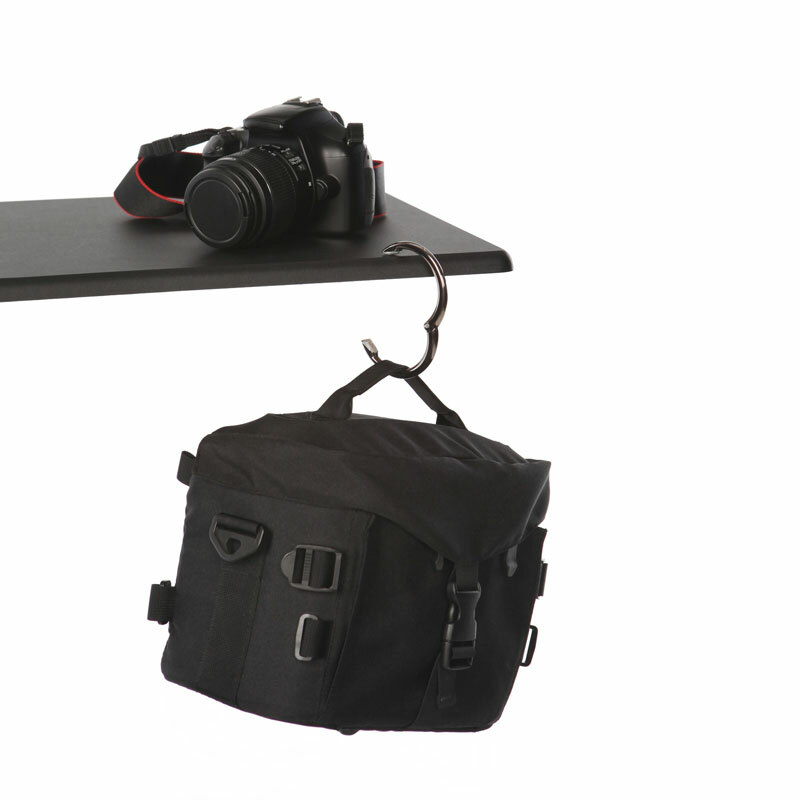 Use it to hang your bag on tables, walls, movie theater seats, restroom stall walls and doors, sinks, cart handles, ledges, railings and more. 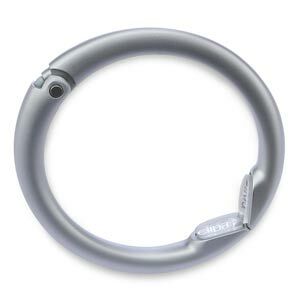 You can even clip this versatile purse hook to your car's passenger-seat headrest. When you hit the brakes, your bag will stay in place. Hangs grocery bags and restaurant take-out too, keeping the contents from spilling on the way home. 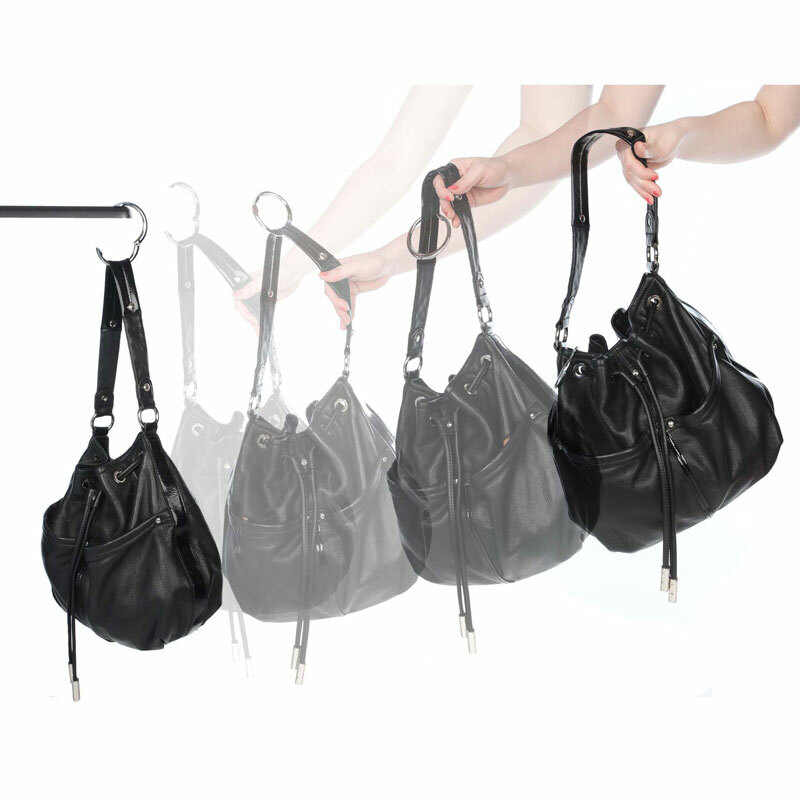 Handbag hook holds single or double strap bags up to 33 lbs. yet weighs just 1.6 oz. 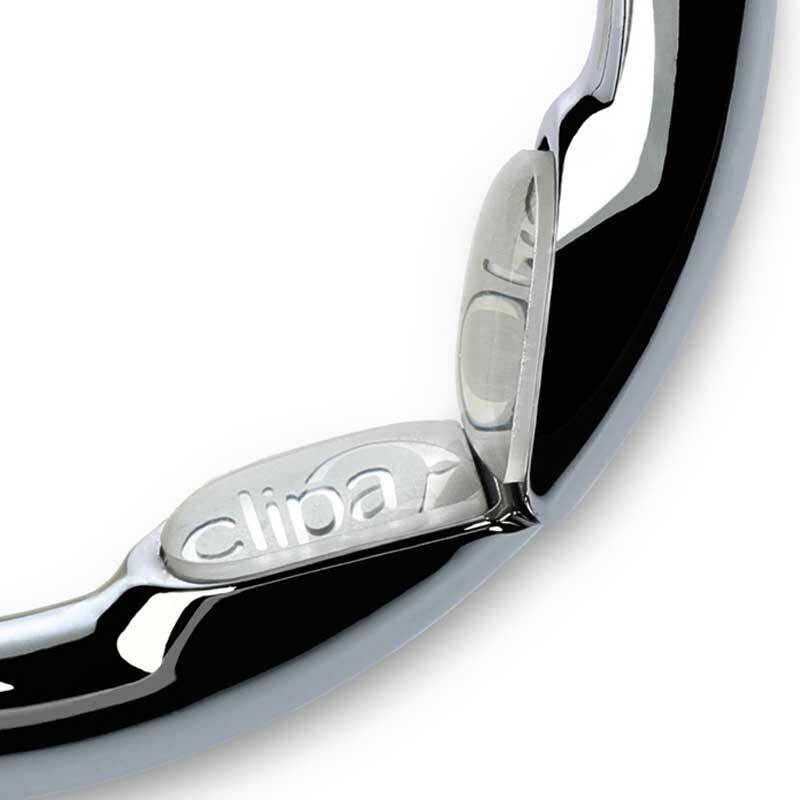 The Clipa will also work on backpacks, totes and business bags. 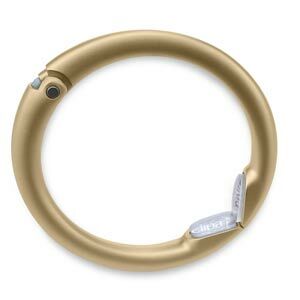 It can be attached to any sturdy purse strap, the D or O rings found on many bags, or even worn as a bracelet. 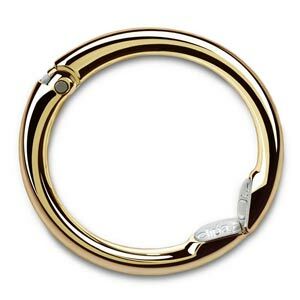 Made from a strong metal alloy, triple plated and then coated with extremely hard and durable titanium nitride PVD (Physical Vapor Deposition) it never needs polishing. Tested to last for 10 years of daily use. 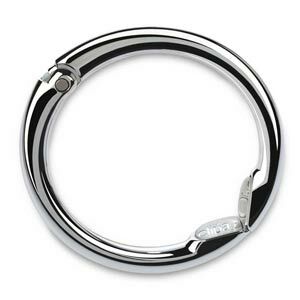 30-day guarantee: if you're not completely happy with your Clipa, send it back within 30 days of delivery for a full refund or replacement. Add to cart for yourself and everyone on your gift list!